Blake has been the lead mean girl at her school for a long time but she is starting to have qualms about how she treats others. Blake misses her close relationships with her older sister who has pulled away since leaving for college and her former best friend who is part of the geeky computer kids. Blake is looking forward to starting college herself and having a clean slate. 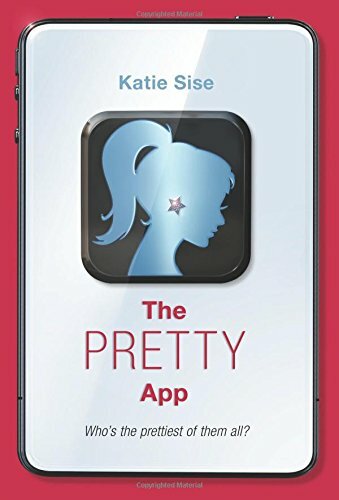 She thinks her clean slate might have arrived earlier than expected when she is selected as a finalist for The Pretty App, a new app looking for the most beautiful girls in the United States. Blake is excited to travel to California to participate in the reality show aspect of the app even while she's hurting from the lack of contact from her new boyfriend who left her with while saying that everything he said and felt was real, no matter what else she hears. Blake is in for several big shocks when she arrives in California. I was looking to read something light and easy and this filled the bill although it wasn't as fast as I expected nor wanted it to be. Because she is looking to change Blake is a much more sympathetic character than you would expect given her status in the school. In fact, the main problem I had was trying to figure out why such a nice girl would've been so nasty in the first place. There are quite a few references to events that I assume happened in the first book, The Boyfriend App so it would've been nice to have that background before reading this one but it wasn't necessary to understand what was happening in this one.